Felix is fantastic! 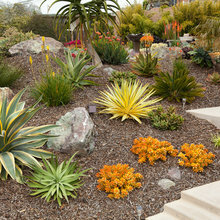 I saw all the positive reviews on Houzz and called him right away once our lawn guy could not help with fixing a zone in our sprinkler system that was not working. He answered promptly and said he could come out later that day. He quickly assessed our issue and gave us information that we would have never known. He took time fixing the zone and making sure everything was properly done. Such a relief working with someone who has so much pride in his work...truly rare these days! The reviews are 5 Star for a reason. I'll never use anyone else for any sprinkler/irrigation needs. He's a true professional! Felix has helped us and several of our FireBoss Realty real estate clients on numerous occasions. He installed an awesome foundation watering system for us that is "set it and forget it". He does excellent work at a great price and I don't know of anyone that has used him for their sprinkler or foundation watering system and not been incredibly satisfied. Most recently, he found a leak in our sprinkler that solved our mysteriously high water bill. Thank you Felix and #1 Ave. Irrigation & Fence. Felix replaced the master valve on my sprinkler system and at the same time replaced the sprinkler head in the front yard. He had originally come to give me an estimate on my sprinkler system and noticed that the master valve was broken and said he could install for me. He did a great job and was quick, efficient, reasonable, and we were able to negotiate a price we were both happy with. Felix did an excellent job- he was honest, very thorough, did everything on time and I was very happy with his work. I definitely recommend Felix and #1 Ave! Our house is located on a one acre lot with a large front yard that is flat and the back yard gently tapers down to a creek. Our issue was that with heavy rains the water stood too long in the front yard and water would gather that was much too close to the house. Last year I had Felix take a look at our situation and design a drainage system that would take care of the water in the front yard and deliver it in the backyard where it would harmlessly find its way to the creek. Felix and his crew did a great job executing the plan and in fact some days I really felt sorry for them as it had rained so much that it made ditch digging an awful chore. The project was completed and we couldn't be happier. With all the heavy rains and flooding in Dallas this year I was glad to have an efficient drainage system in place. In addition to the drainage system Felix also did some leveling work for me on the property. I recommended Felix to a friend and he was thrilled with Felix's price and work. Felix is awesome!He fixed my spinklers, I had three breaks in my line. He even installed my new wifi enabled spinkler control unit. I then mentioned that I wanted to level and resod my yard. He measured and gave me a great quote. It looka great and he did a very professional job. Kept me up to date on the order and when it was the right time to lay the sod. My yard looks great and I owe it al to Felix ! Repaired my lawn watering system. I had a leak. He found and fixed the leak and also took time to inspect all watering heads and adjusted as needed. I like the way they always go the extra mile to make sure we are satisfied with his work. Felix, of #1Ave. Irrigation and Fence maintains our sprinkler system on an ongoing basis. I have found him to be knowledgeable, helpful and a man who acts with integrity. He is committed to doing what is right for his customers instead of what might make him more money. I highly recommend this company. I had just bought a new home and soon learned that they had done a horrible job laying down the sprinkler system. A friend referred us to Felix and he came in and laid down an entirely new system. He was very conscious, honest, genuine, and sincere about his work- he explained why he needed to and what he was doing and what had to be done, keeping us informed every step of the way. I even had him come in to do another project on our home. I definitely and highly recommend Felix and #1 Ave. Irrigation and Fence! The problem was that the existing manufacturing put in by the home builder was inadequate in quality and size. Felix removed the existing system and added what was necessary to increase the size in volume of water and area covered. The replacement RainBird product ended up being defective, Felix noticed this and that product didn't meet his standards. On his own time & expense, he took the time to call Rainbird and had the Rainbird members come out to the house and authorize a full replacement at Rainbird's expense . I have recommended and definitely recommend Felix and #1 Irrigation & Fence! Felix has done several projects for me, from the simplest to some more complex. He's always very honest and trustworthy and does great work for a great price. 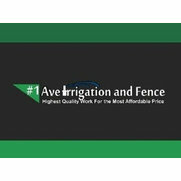 I'll never use another irrigation company, and I recommend him to all of my clients (I'm a Realtor). Felix is dependable, punctual, and very friendly. I have had him help with projects large and small and he is always eager to meet the expectations I have. I highly recommend him for all your irrigation system needs.